Clicking on the Like button adds the image and link for that entry to the visitor's Facebook wall under Recent Activity (left column). The Vote button is not related to Facebook. Neither the Vote Button or the FB Like button have any effect on who actually wins in the competition. Winners are selected by a judge. 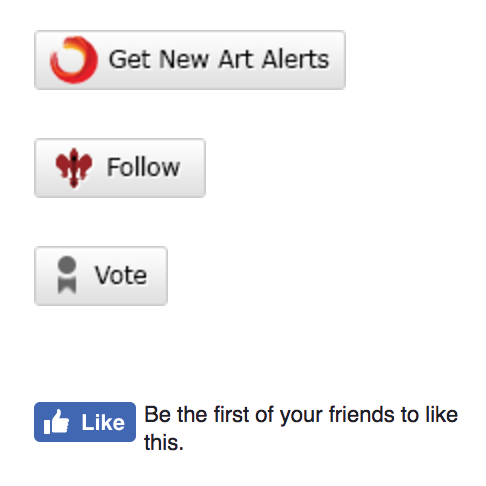 The Vote button and the Facebook Like buttons are just for fun. They both provide additional exposure by (1) displaying your entry in the Most Popular grouping and (2) sharing your entry on friends' Facebook pages. One vote gets added to the contest entry.